. — The West Carroll Chamber of Commerce is set to present Branson’s No. 1 Morning Show Red, Hot and Blue February 12 at 7:30 p.m. in the Thomas Jason Lingo Community Center. Advanced tickets are just $15.00 and will go on sale Monday, January 3 at Small Town Designs in Oak Grove and the Louisiana State Cotton Museum in Lake Providence. At a time when special effects rule the day, when computers blur reality and graphics stretch the imaginations, the Award-Winning Red, Hot and Blue! Show is nothing more spectacular than Hilarious, Wigs, Fabulous Costumes and RAW TALENT! A seasoned cast of professional entertainers transport you on a nostalgic musical journey through the decades from the Early 1900’s to the Fabulous 70’s and MORE! 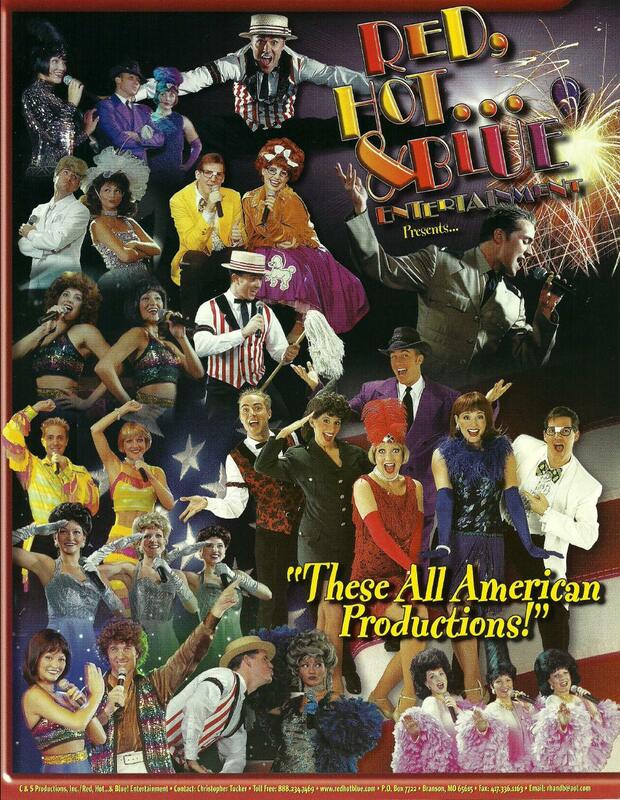 Critically acclaimed as Branson, Mo.’s “All-American Ambassadors of Entertainment,” (Travel Host Magazine) the cast features first-class, high-energy revue entertainment from the Raucous Ragtime Era, the Roaring 20’s, Broadway in the 1930’s, the Swingin’ Big Band Era, the Happy Days of the 1950’s, the Zany 60’s and so much MORE! The cast of Red Hot and Blue has won numerous awards including Best Vocal Group, Best Overal Dance Group, Best Morning Show and Best Costumes of the Year. This entry was posted in Uncategorized and tagged BRANSON, ENTERTAINMENT. Bookmark the permalink.